Haskell County Fossils NOT FOSSILS? Katina Roye Peevyhouse retains all rights and owns the copyright of all photos shown on this page. 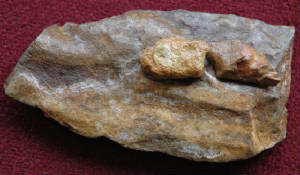 Update 3/3/2009: I sent the rocks pictured below to a fossil preparator who told me that they are not fossils. In the next breath, he said that I should show them to someone who understands fossils from my part of the world. These rocks are unidentified. 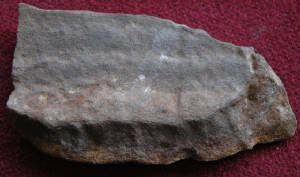 VIEW 3: Another view of the rock; this view shows fossil(?) material still trapped in this very hard rock matrix. 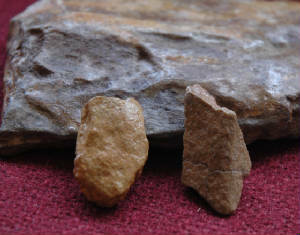 VIEW 2: These are the small pieces that came off the partially prepared rock shown at left. VIEW 4: This is the flip side of the rock. 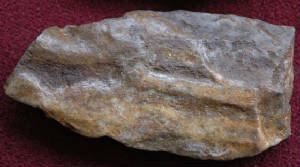 On this page are photos of one of my fossil finds. Each photo is a slightly different view of the same find.